It has always been quite the intellectual challenge to survey world cultures, especially religions, from a holistic point of view. 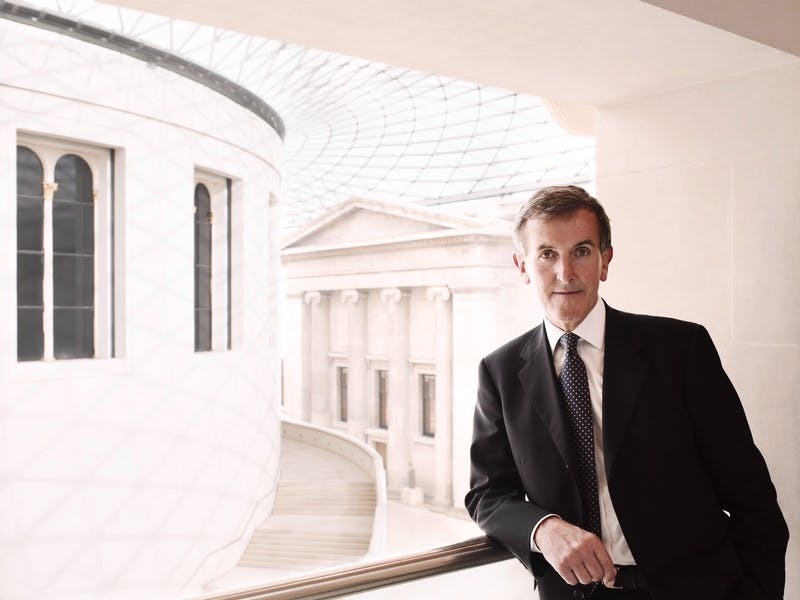 Prominent British art historian and museum director Neil MacGregor takes on precisely this challenge in his lecture “Living with Gods”, which aims to promote an ongoing exhibition in the British Museum with the same title. The Tannahill Hall was filled with an anticipating audience, an older crowd that most likely also heard MacGregor speak on his successful BBC podcast series on the same topic. The lecture was opened with a curious notion: the topic of religion has made a return in the past 40 years in ways people would not have anticipated decades ago: Why does religion keep returning into heated debates and what does that tell us about human societies? MacGregor uses various artefacts to address these questions, starting with the fascinating Man-Lion figurine that dates back to 40 000 years ago. He argues that the figurine shows how religious beliefs served as a powerful binding force within human communities through a shared narrative, or storytelling, from the dawn of mankind. Smoothly moving from one artefact to another, MacGregor illustrates a fascinating overview of interconnections between religions and human societies as spoken by objects around the world. He then ends with a powerful concept – there is a lack of a shared narrative that can help us form the identity of a global community. Alluding to refugee boats and to that of Noah’s ark from a medieval manuscript, he invites the audience to consider the power of religion and the importance of allowing the coexistence of different Gods – and different communities – within one society. The lecture was delivered with thought-provoking messages without over-politicizing or moralizing. MacGregor’s masterful skill as a storyteller together with his charming sense of humour successfully captivates his audience. Yet as the lecture ends and applause fills the room, I wonder whether there could have been more to the stories. The limited scope of the discussion was arguably due to time constraints, but the lecture did not fully deliver the holistic view it promised. Perhaps a trip to the British Museum would be in order.